The kitchen is a place where you gather your family and friends, but an outdoor kitchen allows you to enjoy nature too. Outdoor kitchens are a wonderful addition to your home and accessories for your outdoor kitchen are just as important as the kitchen design itself. If you are trying to narrow down your options and choose between different accessories, we will go over some things to think about below. One of the biggest mistakes that you can make when you start to choose accessories for your outdoor kitchen is not knowing where to start. You need to make a list of priorities. These priorities should be items that you need to have. Some of these need-to-have items include grills, tables and chairs, and similar items. Think comfort. Think items that will help you provide a delicious meal for your guests. Your outdoor kitchen is a convenience, but you can make it even more convenient if you have portable options. You may want to consider a small bar cart or serving cart. You can place cooked items and condiments on. This way, you nor your guests have to make multiple trips to and from the counter. If you want your outdoor space to be comfortable, accessories for your outdoor kitchen that you may want to consider include shrubbery and trees. They can provide beautiful, natural aromas in the air and they can also provide you with shade. As you narrow down your choices for accessories, you should consider comfortable seating options such as loungers. People do not always want to sit in an upright position and a couple of loungers around the outdoor kitchen deck can help provide a relaxing atmosphere for your family and friends. If you need help choosing the best accessories for your outdoor kitchen, the team at J. 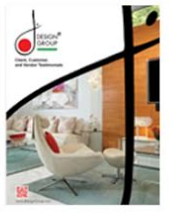 Design Group is here to help you. What’s best about a garden is that it does not need too much decór, by keeping it trimmed and healthy is usually enough; but by putting the perfect ornament you can transform it into the ideal spot for hosting gatherings.